A security lapse at the El Dorado Correctional Facility led to a June 24 disturbance during which inmates used makeshift weapons to threaten guards, according to new information provided Wednesday to Kansas lawmakers. The inmates entering the yard refused orders to return to their cells. Fights broke out among prisoners affiliated with rival gangs, triggering a series of events as guards struggled to maintain control of the facility. 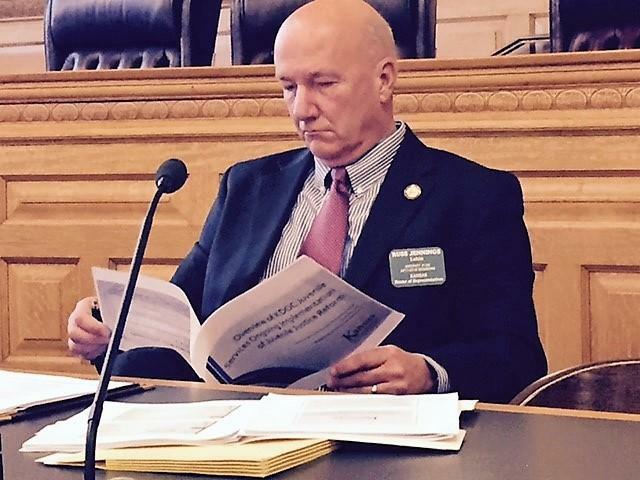 Rep. Russ Jennings, a Lakin Republican, and other members of the Legislature’s corrections oversight committee discussed a report on recent security incidents at Kansas prisons. The committee met Wednesday in Topeka. Rep. Russ Jennings, the Lakin Republican who chairs the Legislature’s corrections oversight committee, said the report heightens his concerns about security at El Dorado and other state prisons. Jennings said he believes the security lapse was a byproduct of the high staff vacancy rate at the prison that has depleted the ranks of veteran guards. The turnover rate at El Dorado in the last budget year was 46 percent, said Corrections Secretary Joe Norwood in a briefing to the committee. It averaged 33 percent across the system. To stabilize staffing, Gov. 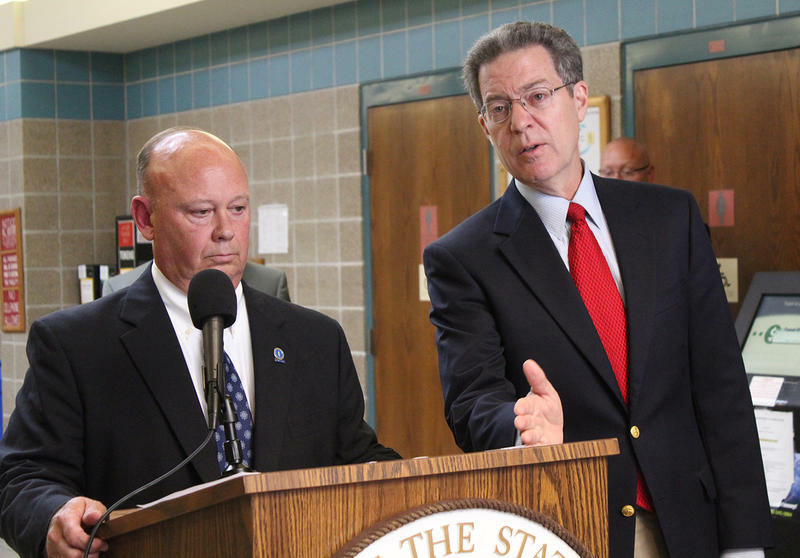 Sam Brownback in August approved pay raises for corrections officers — 10 percent at El Dorado and 5 percent at the state’s other prisons. Responding Wednesday to questions from legislators, Norwood acknowledged that the differential pay rate was negatively affecting morale among officers who work at facilities other than El Dorado. The El Dorado incident and a riot in September at the Norton Correctional Facility have focused the attention of lawmakers on prison staffing issues ahead of the 2018 session, Jennings said.